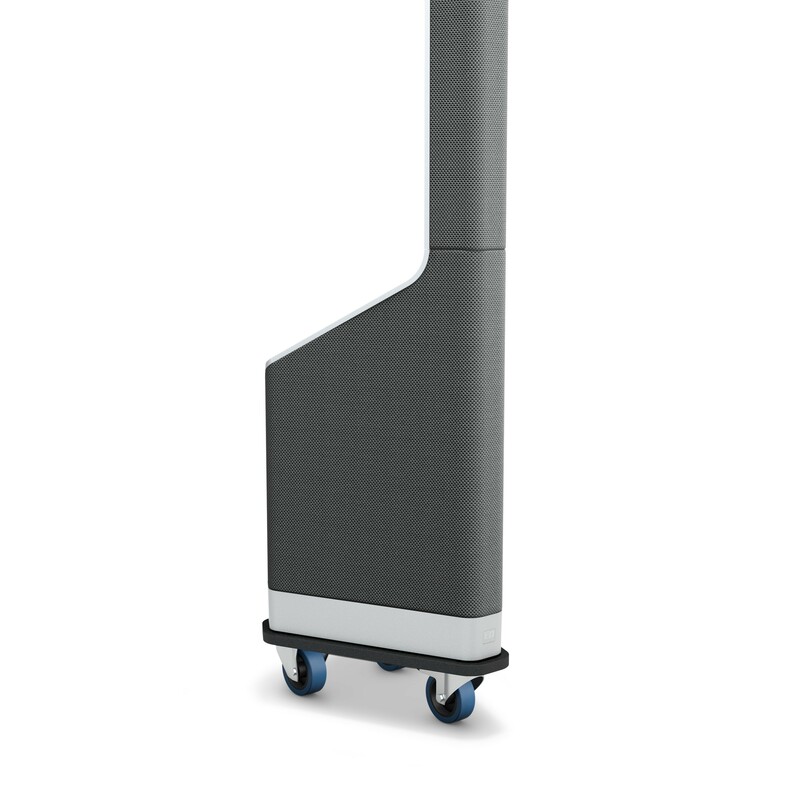 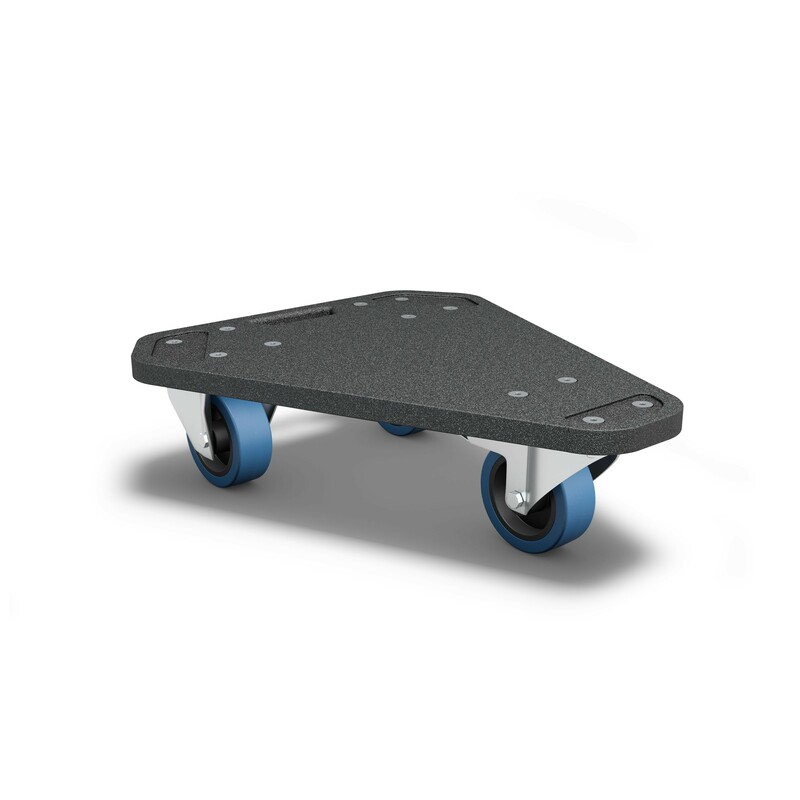 Specifically designed for LD Systems MAUI P900, this dolly is made of 15 mm birch ply with an ultra tough, impact resistant polyurea coating. 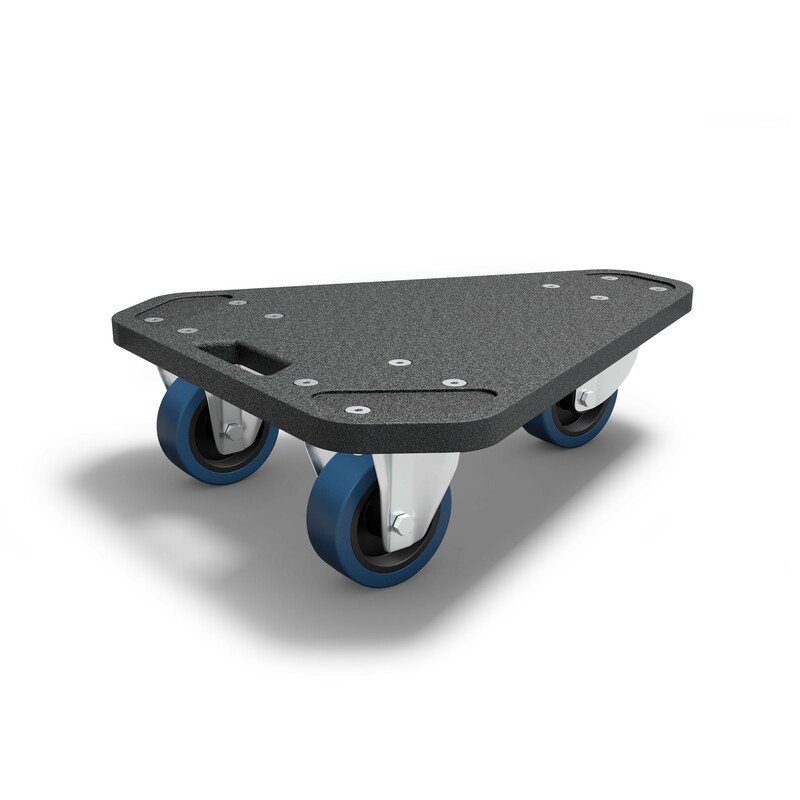 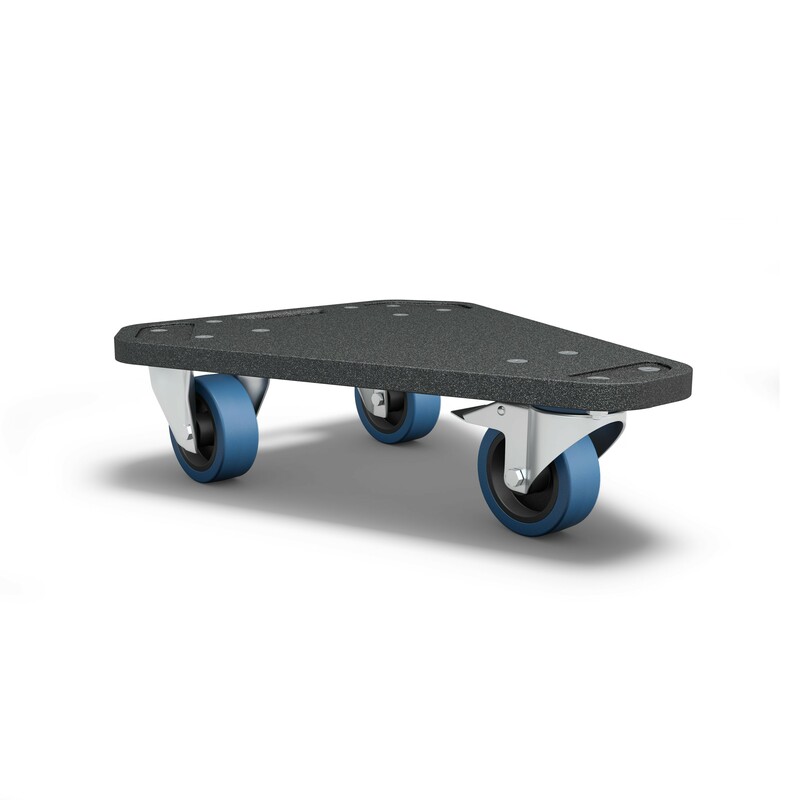 It features two fixed castors and a swivel castor with 80 mm wheels. 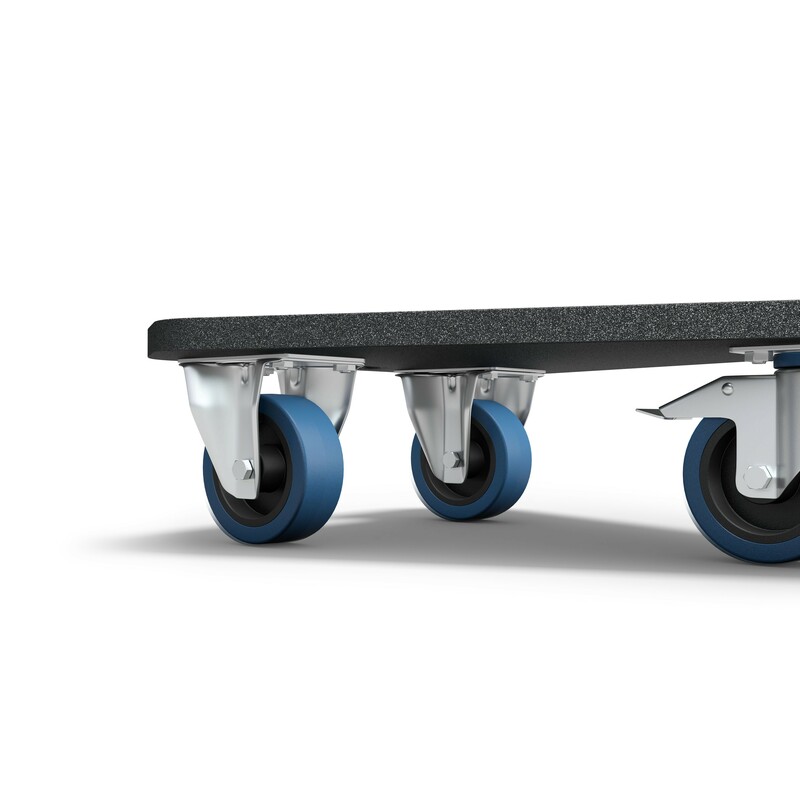 Engaging the swivel castor's wheel and swivel head brake locks the dolly in place.